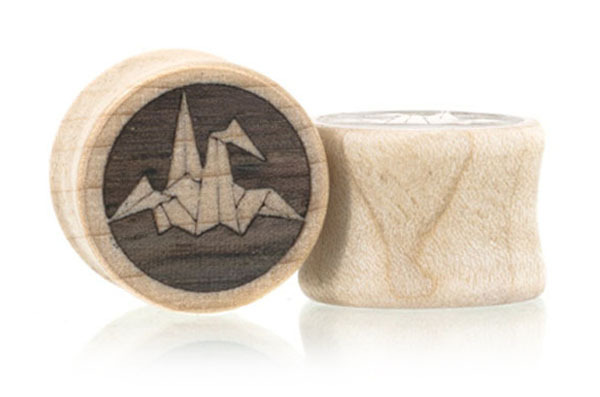 A Japanese legend says that folding 1,000 paper cranes will result in 1 wish granted. 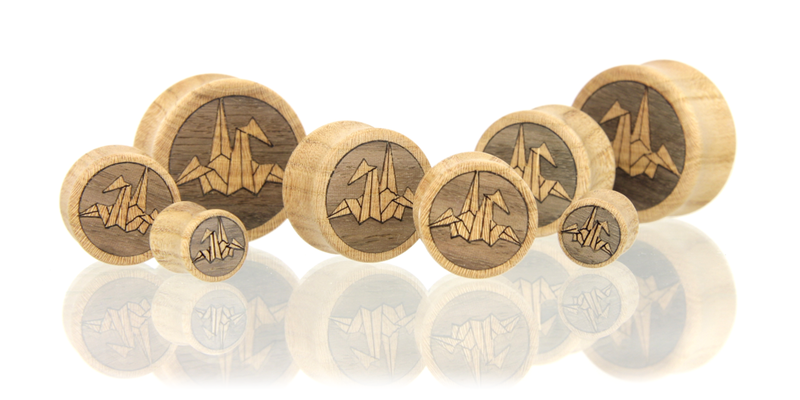 If your wish is for a pair of cranes to adorn your lobes, we've got you covered, no folding necessary! 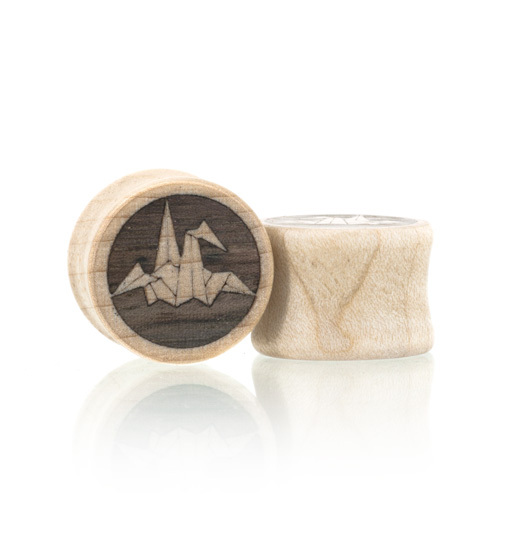 SPECS: Curly Maple wearing wood with Blue Mahoe inlays and detailed engraving.